1. The New Day defeated The Vaudevllains. 2. The Usos defeated Tyler Breeze and Fandango. 3. Rusev defeated Zack Ryder. 4. Enzo and Big Cass defeated The Dudley Boyz. – John Cena returned to Raw, and was confronted by AJ Styles. The Club reunited and jumped Cena, leaving him lying. 5. Dana Brooke defeated Natalya. 6. Baron Corbin defeated Dolph Ziggler. 7. Dean Ambrose, Sami Zayn and Cesaro defeated Alberto Del Rio, Chris Jericho and Kevin Owens. Thus, it appears as if Cena’s return has been made a major spoiler for the Monday night show. Well, we can expect him to be a part of any of the two games. The first being is getting the entry in the upcoming PPV, money in the bank briefcase ladder match and the second is challenging the current WWE United States Championship. Rusev defeated Kalisto once again in the last week’s Smackdown. So, he is now ready to take on a new challenge. It is also expected that he may get engaged into a fight with Cena as he is regarded as a great American and there is an occasion to fulfill it – the Memorial Day 2016. As of now, there is only one spot left for the Money in the Bank game. John Cena is expected to claim it. Seth Rollins returned just last Monday, and he is already ready to go for a title clash with World Heavyweight Champion Roman Reigns. We would witness Reigns and Rollins engaged in some war of words, but getting physical is not likely so soon. After tonight, WWE will air a special about the recovery of Rollins. The next big match already scheduled for this night is Dolph Ziggler vs Baron Corbin. They will be seen fighting tonight. Last week Sheamus attacked Apollo Crews, so they should now be more cautious of the fellow wrestlers. Sheamus is probably getting ready to unleash a surprise attack. In the women’s section, the next move of WWE Women’s Champion Charlotte will be highly anticipated as she recently abandoned her father, Ric Flair. Then, she teamed up with Dana Brooke. Now, it gets more interesting to see who is the next to challenge her. Charlotte has defeated Natalya many times. It will be the first match for Enzo Amore after he suffered a concussion. He will probably find a game tagging with Big Cass against The Dudley Boyz in a tag team match. As the next PPV, Money in the Bank is approaching at a rapid rate; we can expect some promotion for it and some tag matches. Alberto Del Rio, Dean Ambrose, Cesaro, Sami Zayn, Kevin Owens, and Chris Jericho would be seen in the promos. 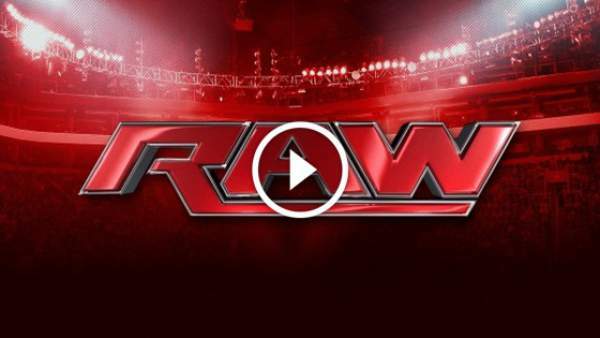 “WWE Monday Night Raw” airs on Mondays at 8 pm EST on the USA Network.